Every year, the JDRF One Walk brings the regional T1D community together, uniting families and individuals with different backgrounds and experiences. Often, the event marks an opportunity for newly diagnosed families and individuals to obtain critical information, resources, and support in order to navigate the difficulties of a new diagnosis. 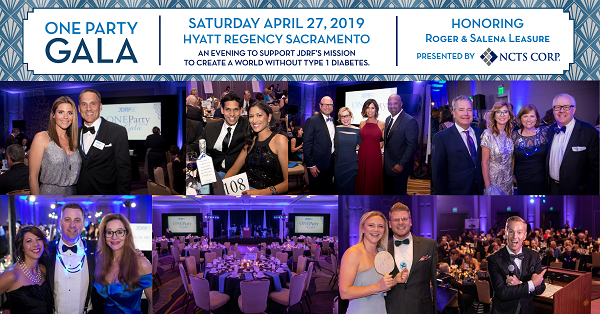 For one such family, the Kloetzer’s, JDRF provided a launching point as they began their journey — with the ultimate goal of eradicating T1D altogether. Erich Kloetzer’s son Hudson was diagnosed with T1D in February 2017, following a series of troubling symptoms. Erich remembers initially attributing these unusual signs to a normal growth spurt, but it soon became clear that his six-year-old son was in danger. The family spent the next several days in the hospital, shocked and overwhelmed. One year later, the family recognizes that “we still have a lot of scary moments”, but after joining JDRF and discovering an immensely supportive community, they feel prepared to handle the challenging road ahead. One of the Kloetzers’ strongest sources of support is their YouTube channel, called RH Game On, which features livestreams, vlogs, and video game play throughs. While the channel provides plenty of family-friendly fun and games, it also serves to promote T1D awareness and education. The family’s videos frequently discuss Hudson’s condition, and they sometimes show his blood checks and insulin injections on-air as well as featuring his diabetic alert dog, Hazel. The Kloetzers aim to reduce the shame and stigma associated with the disease and hope their channel encourages T1D individuals to be confident, and to realize that they are not alone in their struggles. We are excited to see how we might be able to make a positive impact through our YouTube channel. We welcome you to come join the “RH Army” by subscribing to our YouTube channel “RH Game On” as we have fun as a family while raising awareness and money for a cure, so we can say GAME OVER to T1D. We thank the Kloetzers for their incredible support, and we look forward to seeing them on Sunday, October 7th at One Walk! For more information or to register, visit JDRF One Walk or contact Claighton Byrn at (916) 576-1378.